Wampanoag language revival: They helped the pilgrims, and lived to regret it. Jessie Little Doe Baird and daughter Mae Alice Baird. The story centers around Jessie Little Doe Baird, a Wampanoag tribal member who’s been working since 1994 on reviving the language, working with both community members and MIT linguists to figure out how to speak the language again based on written records. 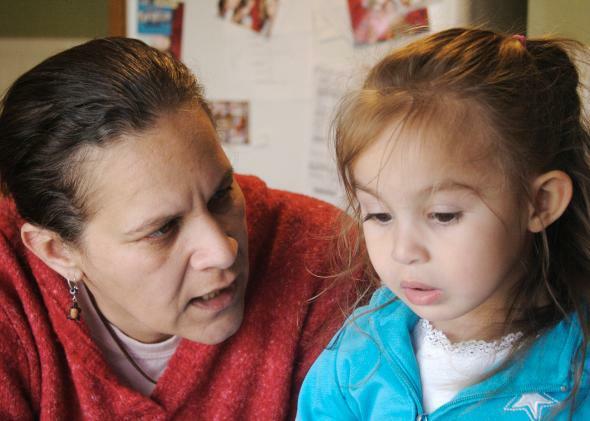 In addition to a number of adult learners, there are also currently the first generation of children speaking Wampanoag again in seven generations. The film aired in November 2011 on PBS Independant Lens, and there’s a brief excerpt from PBS below. More excerpts can be found online here, and the full documentary is available on iTunes. Update, Oct. 20, 2014: An earlier version of this post misstated where to find the full documentary.